A number of techniques are available for redirecting visitors when the website is move to a new location. You can choose any method as per your convenience and requirements. Some of these techniques are described below. Just make sure that you are using the right code. HTML can also be used for redirecting a page. You can redirect a page immediately or after a period of time using the meta-refresh tag. However, this method has one disadvantage associated with it: pages that use page redirection technique are penalized with short delays by some search engines. It happens because it could appear as a cloaking attempt. But this technique can be useful in a different way. Using this technique you can redirect the visitors of your web page to a different site of yours or directly to a sponsor’s page, with your referral code after 350 second. The idea behind this approach is that if a surfer has opened your site along with a number of other web pages in a stack of windows and tabs and then he starts closing all the tabs one by one, he will certainly stop at the new page and look at it. The redirection technique will be quite simple for you if you are comfortable working with flash. You can simply make your own flash movie with one frame, this movie can be used to create an immediate redirect. You will be done with the redirection once you have pasted the relevant code into the actionscript. You can also use this technique if you don’t want to redirect instantaneously but after a period of time. All you need to do is to make a movie of the appropriate time duration and then paste the code for it into the actionscript pane of the last frame. If you want to redirect to a different page depending on the outcome of a script,then this technique can be useful. With the help of appropriate skills and this technique, you can redirect to books review on a Sunday, political news on Monday, a joke page on Tuesday and so on. However, one thing that should always be kept in mind is that any text or HTML should be sent to the browser only after calling the function. If the function is called after the redirect, then the redirection will fail showing an error message. A page which is properly supported by search engines can be redirected to a new page only by using Result Code 301. This technique is known as a permanent redirect. The advantage of this technique is that Google not only transfers all the traffic but also any page rank to the new page. The instructions for the server on your site are contained in .htaccess files which are simple text files. These files can be included in two different ways, either one such file can be placed in every directory where it is needed or a single file can be used for the entire site by placing it in the document root directory. You can simply add new redirects to the top of the file in case you already have a .htaccess file in your directory. This is another popular technique that serves the function of redirecting visitors using PHP script. This technique gives you an option of redirecting your page at any given interval. In case you stumble upon the awkward header which the script may produce sporadically, then this technique can be utilized. I believe that the post has perfect collection of words and a well research. Its awesome! Thanks for sharing. Waiting for next. 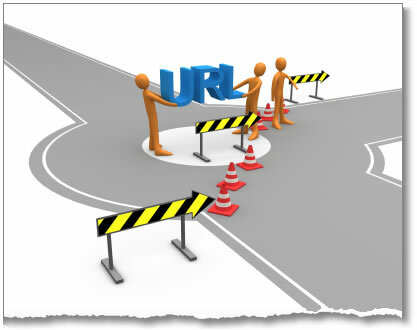 Redirect website when we move website to new location is very important. It will help web owner keep visitor..by the way, Google also keep authority for new website. thanks for nice share about that!